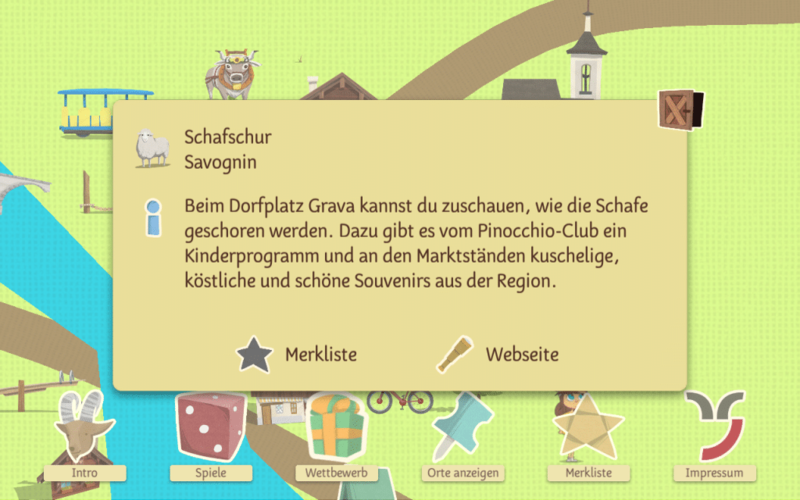 «Turba und Tschepp aus Savognin» is an explorative adventure app for the travel destination Savognin. 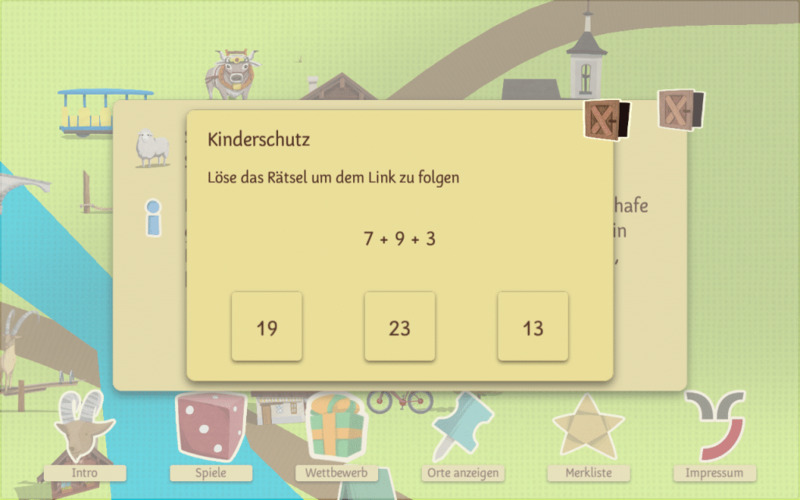 While listening to the carefully crafted recorded dialogs and solving puzzles, players accompanies the main characters Turba, Tschepp and Flurin on their journey through Savognin. The app is available for free for iOS in the App Store and Android on Google Play. 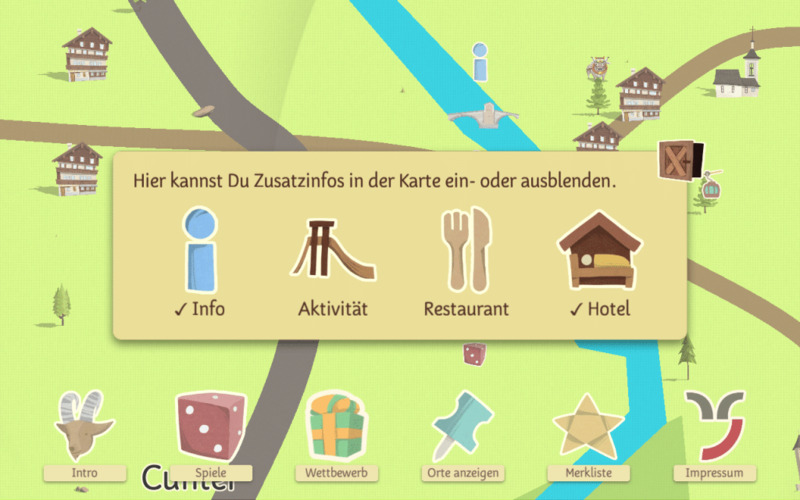 The app «Turba und Tschepp aus Savognin» takes you on a virtual journey. 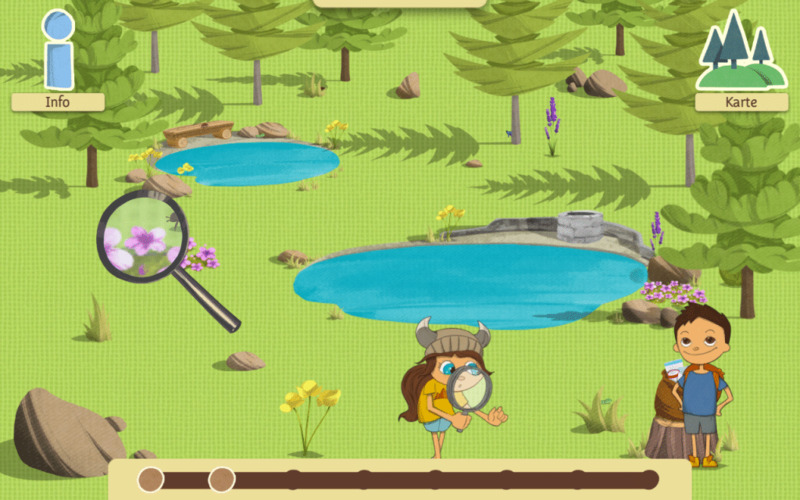 The tremendously large interactive map is packed with puzzles for you to solve. 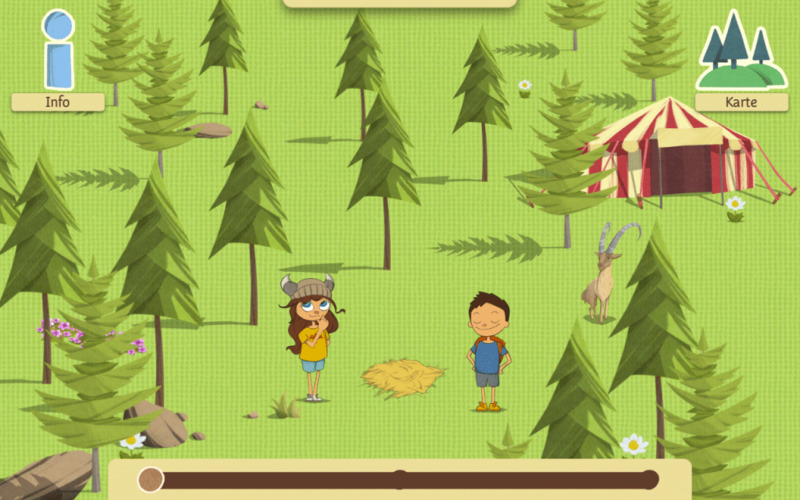 The free app for children lets you visit the main characters’ favorite animals, catch a runaway kangaroo and discover the mountain forest. 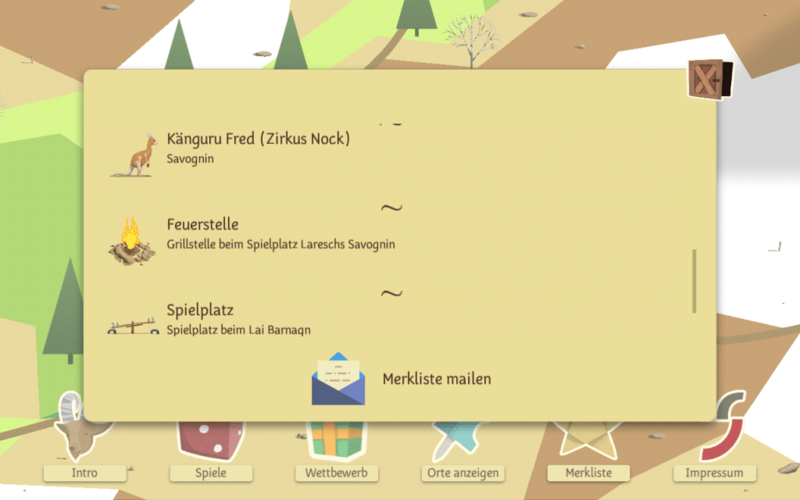 Hundreds of attractions and points of interests can be bookmarked and later sent to an email address of your choice. 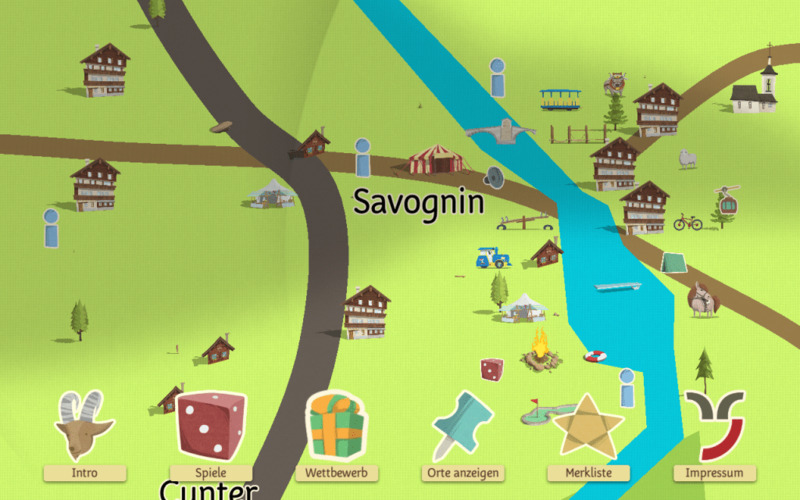 The app has been realised by Gbanga, Millform Inc, for the tourism region Savognin Tourismus im Surses. The concept, the graphics, the animations, the games, the user experience design and the implementation have been done by Gbanga, Millform Inc. The client has provided the audio sources and points of interests database. 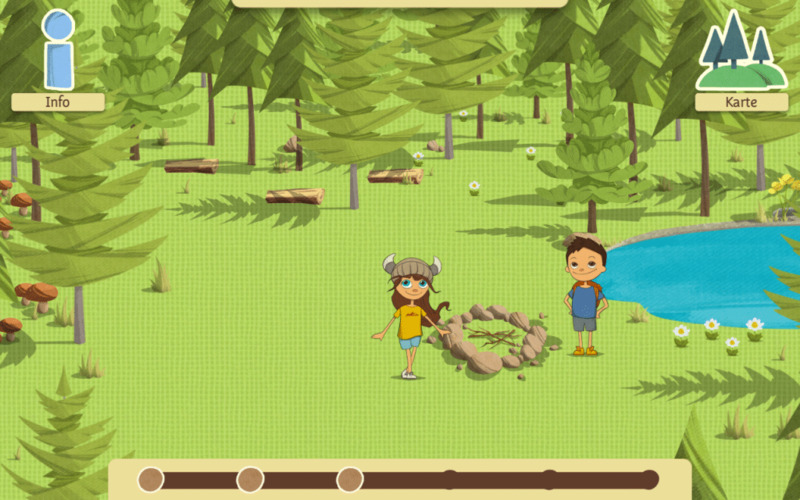 The application has been created with the Unity 3D games engine. The map system with the custom-made perspective is based on an internally developed technology.